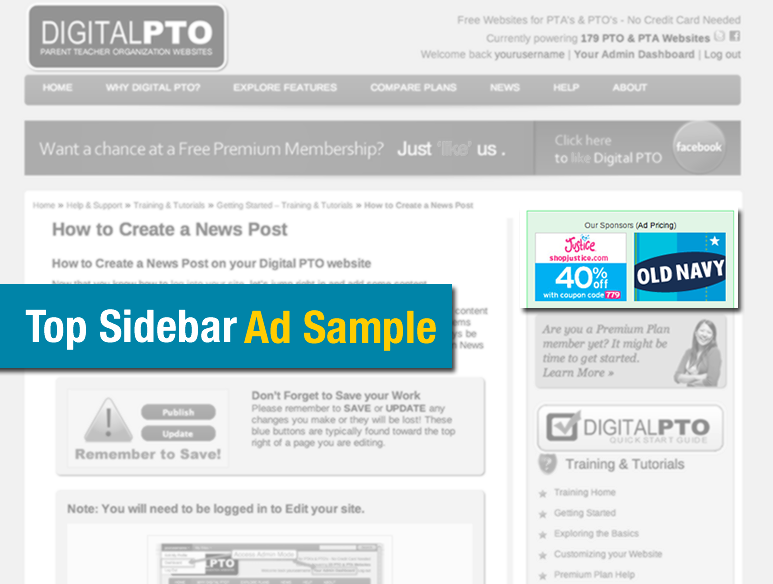 Digital PTO offers a variety of marketing opportunities for businesses and other organizations. Our tight advertising guidelines allow us to provide high quality and targeted leads across the country. Below you will find a summary of the available ad opportunities. Specifications: Logo Only. 200 x 80 px max. Smaller fine. No animations. This is our most basic listing option as well as our most economical opportunity. At only $49 per year you can’t go wrong with this select group listing. 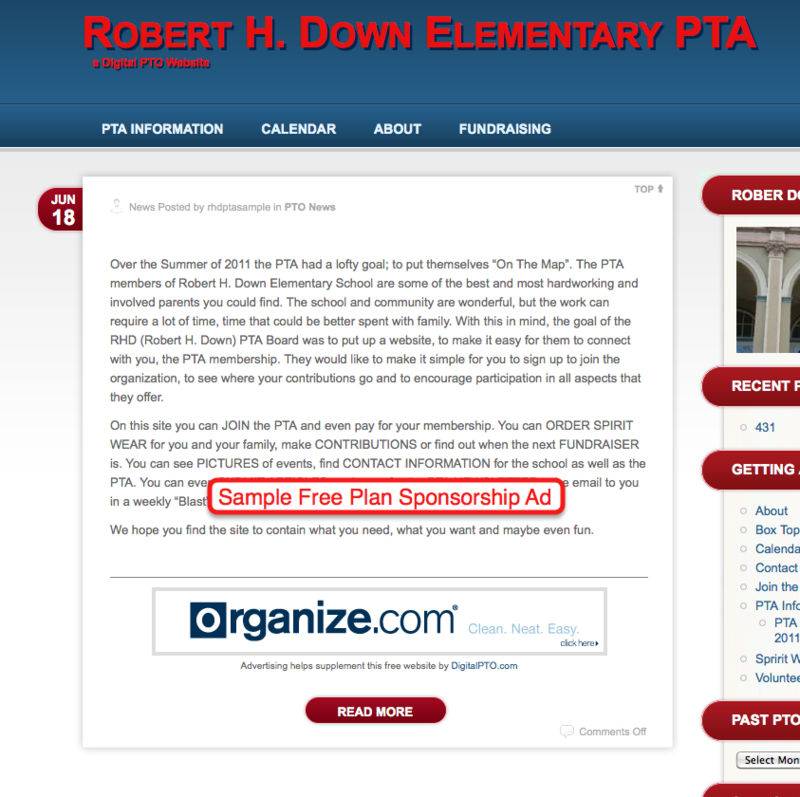 Primary target audience is mothers of elementary school children involved in the PTA and searching for fundraising ideas. These listings are most visited by PTA board members looking for a solution to a problem. Specifications: 120 x 90 px. No animations. We offer a variety of opportunities on with our Sidebar Ads. We offer both TOP sidebar and BOTTOM sidebar opportunities. Top sidebar will be “above the fold” on a standard browser and Bottom sidebar will be at the very bottom of the pages sidebar (typically about halfway down the page, depending on the page). General Public Sidebar – This is the sidebar seen on all of our informational pages typically targeted toward parents exploring our service. These are typically tech savvy parents from a variety of schools across the country. These parents are typically involved in their community in some way. Members Sidebar – This sidebar is found primarily in our general help pages (high traffic location) and will be visited by the “webmasters” for each individual school. This is typically a female with elementary school aged children with mid-level and higher technology skills. Additionally this person is almost always on the PTA/PTO board or at least a very active volunteer. This person is many times voice of the PTA/PTO, including adding content to their website and sending and responding to email blasts. Premium Members Sidebar – This sidebar is found exclusively in our Premium Plan Help pages. The pages are available to anyone, but mostly visited by our Premium Plan Members. Our Premium Plan Members are typically from higher income school districts and have very active fundraising and community events. Target viewer of these ads is primarily female, but does include more male visitors than the other groups, and the viewer is almost always extremely involved in the PTA/PTO on a variety of levels including fundraising and activity coordination. Specifications: 468 x 60 px. No animations. 2 Ads per month max. 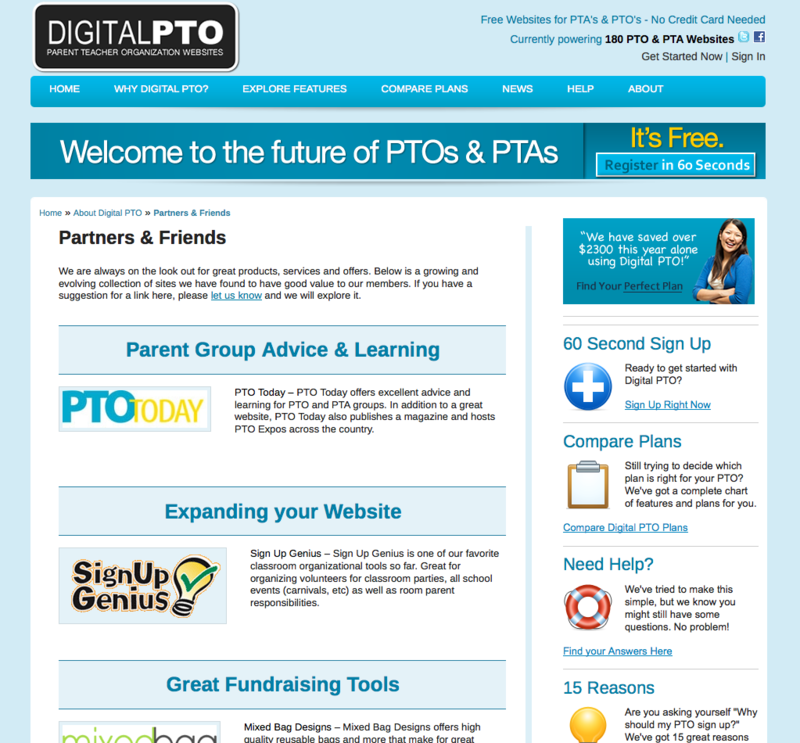 The Digital PTO Free Plan Site Sponsorships offer a unique opportunity to reach families across the country with young children. We offer exclusive opportunities to be the only ad on every page of every website we host. The audience is growing daily for these ads. If you look at the top of our website, you will see a sentence telling you how many active websites we have right now. Let’s say that number is 100. Take 25% away as they are premium (non ad supported) members. That leaves us with 75. Multiply that number by 300 (2/3 the average number of families per school) and that is a decent indicator of the number of eyes your ad can reach each month. In this case (with 100 active websites), you are looking at 22,500 potential families. 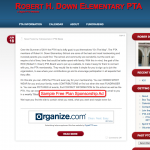 As you will see above, we have many more than 100 active PTA and PTO websites so the audience is quite large and growing every day. The demographic for these ad slots is a mix of male and female viewers (more female) in the middle to upper class range. They have medium to strong technology skills and all have young children living at home. Age range is approximately 28 to 50. All rates are on a month to month basis and are subject to change at any time. Digital PTO has the editorial right to decline any ad application or advertisement that does not fit within the model and morals of our network. Any declined ads or advertisers will be refunded in full if payment has been made. Additional rules may apply.